What follows will be a simple collection of how-tos on handy topics that people frequently request information on. If you’d like to see a particular how-to here, leave a comment and I’ll be happy to add it. Ziploc sandwich bags and/or gallon sized bags for large quantities. First, clean and rinse the mushrooms. 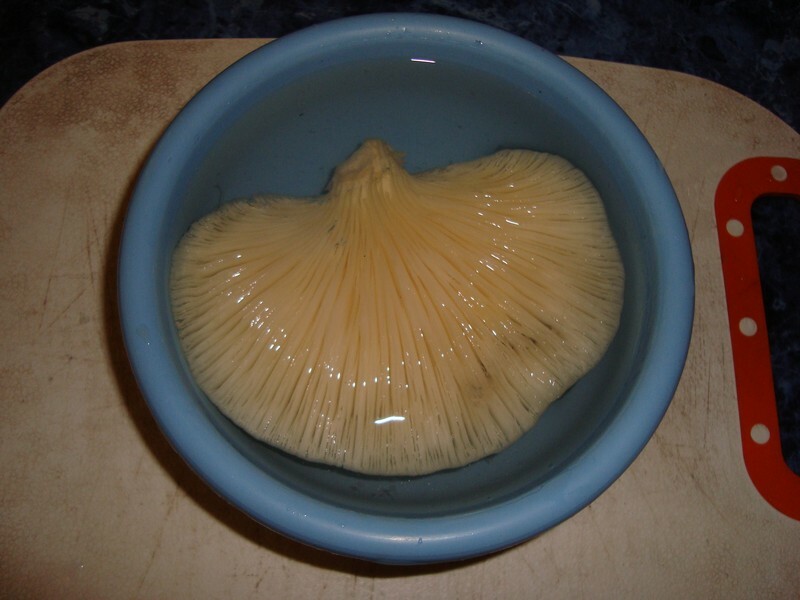 Cut them into the appropriate sizes for whatever you plan to do with them, if they are very large or dense mushrooms, such as a giant puffball. In which case you’d want to make slices that were ¼” to ½” thick. 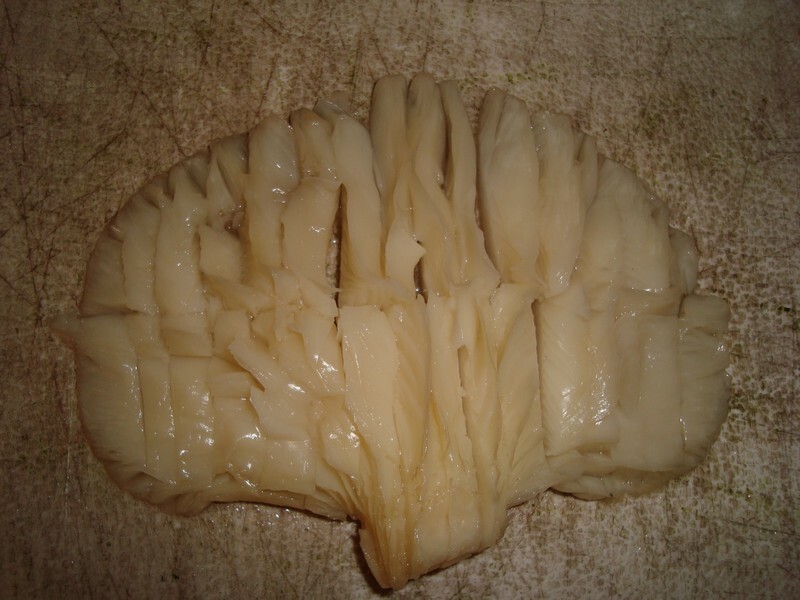 Oyster mushrooms can typically be frozen whole, as they thaw very nicely, and one large one is usually enough for an entire dish. The wax paper is good for these, otherwise they will stick to the cookie sheet. Toss the whole sheet in the freezer. Once they are completely frozen, you may now bag them in the Ziplocs. Gallon sized bags work well for this if you have a lot, as the mushrooms will be individually pre-frozen and won’t stick together. 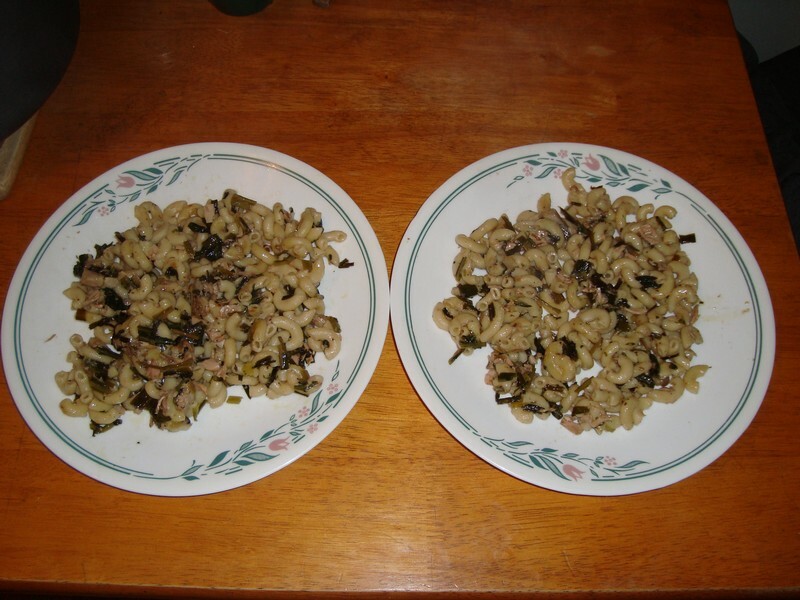 I typically cut large mushrooms into halves or quarters. If I know what I am going to be using them for, before hand I don’t worry about using the cookie sheet and wax paper, and I just put them into the Ziploc baggie as it. Smaller specimens can just be frozen whole. 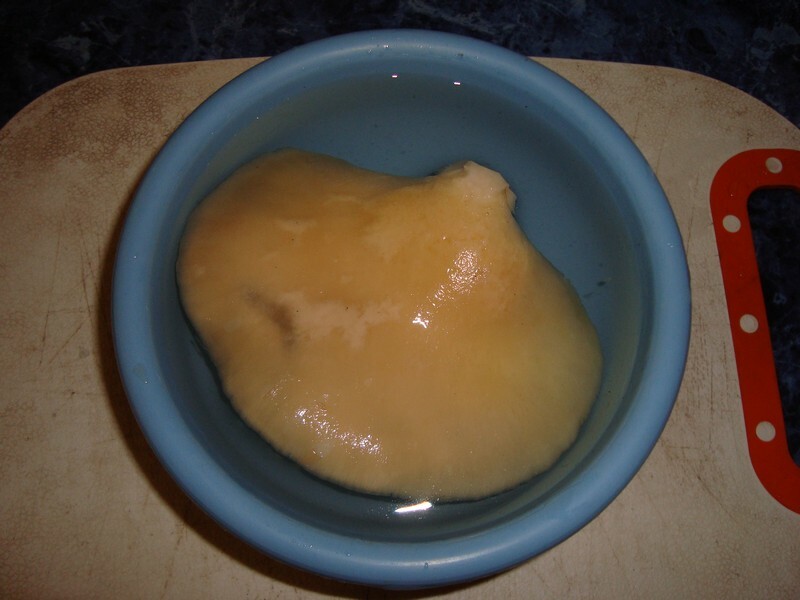 Place the mushrooms in a bowl of cold water for about 15 minutes. When they are mostly thawed, you can then slice them as you normally would for whatever dish you are preparing. And your favorite dish comes out just as tasty as if you were using the fresh mushrooms! 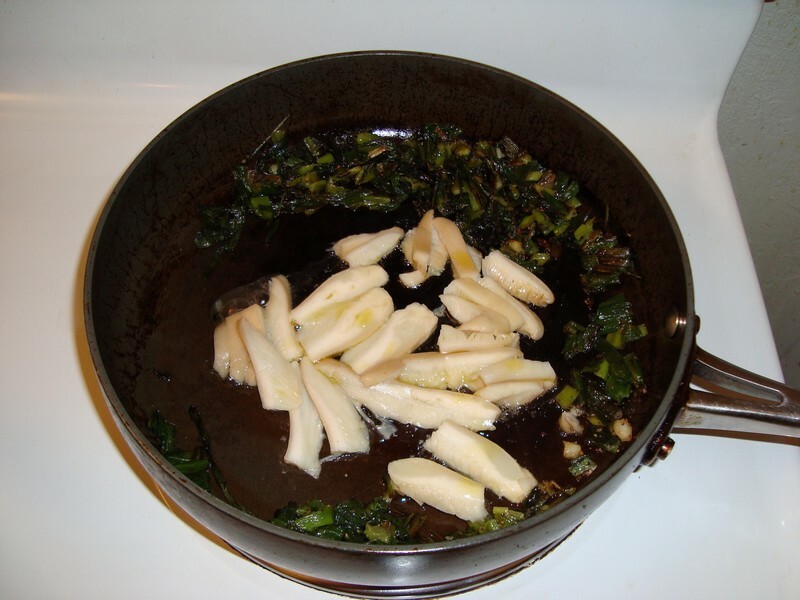 Pictured is Macaroni and oyster mushrooms with wild garlic, dandelion and chicory greens. Delicious! This and all future How-tos will be cataloged under the ‘How-to’ tab up on the top menu bar. 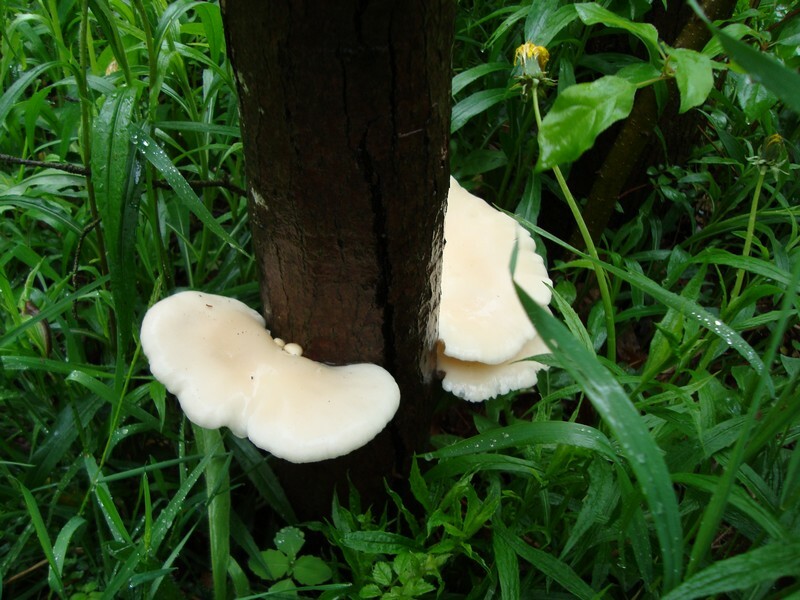 Do you know how well this works for chicken mushroom? The kind that grows on oaks? Nice article! Are we are talking ‘Chicken of the Woods’ here, Laetiporus sulphureus? Also called ‘Sulphur Polypore’ and ‘Sulphur Shelf’ mushroom, I’d slice it thin when young and if cooking making the mature mushroom, Peter Jordan the internationally famous English mycologist recommends cooking whatever you are making with the mushroom first, and then freezing it that way for best taste. He says it tends to toughen a bit when it dries. 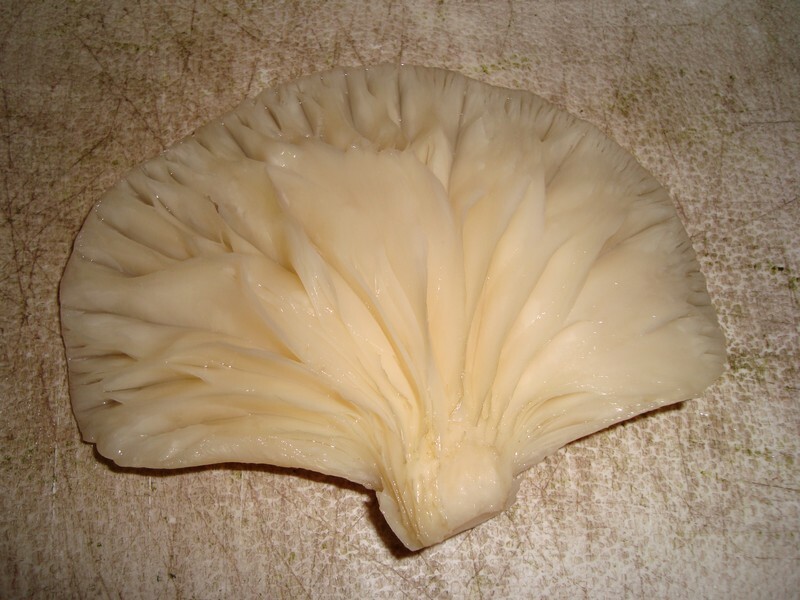 I’ve never frozen this particular mushroom, but I’ve frozen things like Dryad’s Saddle and Oyster Mushrooms, both of which are very sizable and ‘meaty’ mushrooms, and they come out fine when thawed. Hey thanks. Seems I have some more reading to do. I know next to nothing about edible fungi. Alas, I’m the only ‘shroom eater in my family. If only I could convince my kids. I have a single fungi post that you might like. (http://wp.me/p28k6D-q3) It was more a “fun” piece as you’ll see. I’m a DIRT girl first! 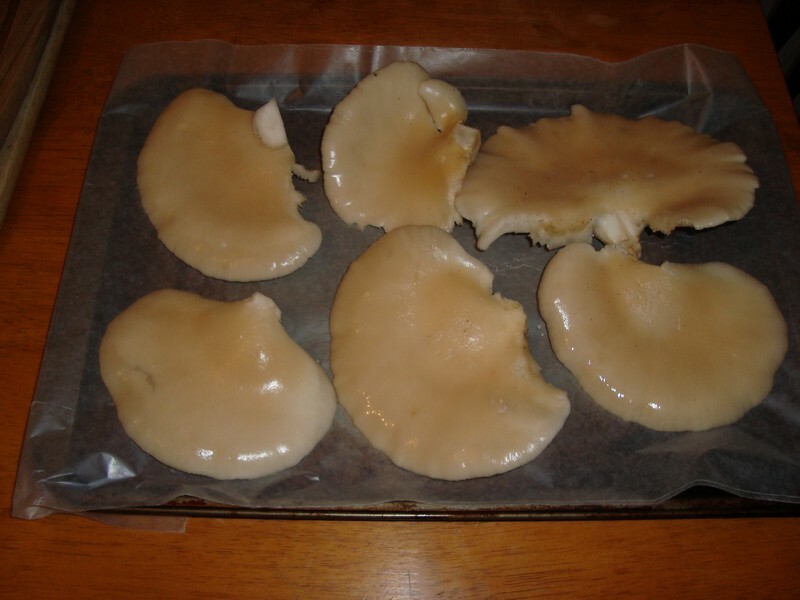 Can you freeze dryad saddle without cooking it?